Kids will appreciate attractions like Sky Tower and Auckland Zoo. There's still lots to do: learn about all things military at Auckland Museum, look for gifts at Pauanesia, enjoy some music at SEA LIFE Kelly Tarlton's, and contemplate the geological forces at Mount Eden. To find maps, where to stay, and other tourist information, you can read our Auckland trip builder website . If you are flying in from India, the closest major airports are Auckland International Airport and Hamilton International Airport. In March in Auckland, expect temperatures between 22°C during the day and 22°C at night. Finish your sightseeing early on the 20th (Wed) to allow enough time to travel to Wellington. 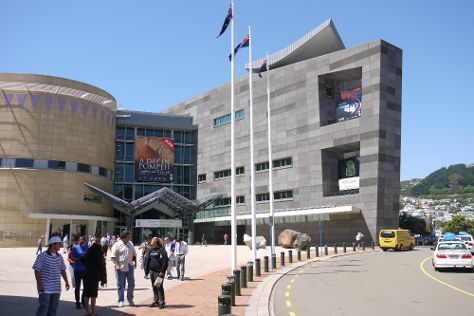 You'll visit kid-friendly attractions like Museum of New Zealand (Te Papa Tongarewa) and Wellington Zoo. When in Wellington, make a side trip to see Queen Charlotte Track in Picton, approximately 1h 25 min away. Spend the 22nd (Fri) spotting exotic species with a safari tour. There's still lots to do: look for all kinds of wild species at ZEALANDIA Sanctuary, trek along Southern Walkway, catch a ride on Wellington Cable Car, and take an in-depth tour of The Great War Exhibition. For ratings, reviews, where to stay, and other tourist information, go to the Wellington day trip planner . Traveling by flight from Auckland to Wellington takes 3.5 hours. Alternatively, you can do a combination of bus and flight; or drive. Traveling from Auckland in March, plan for a bit cooler nights in Wellington, with lows around 16°C. Wrap up your sightseeing on the 25th (Mon) to allow time to travel back home.